Surprise! 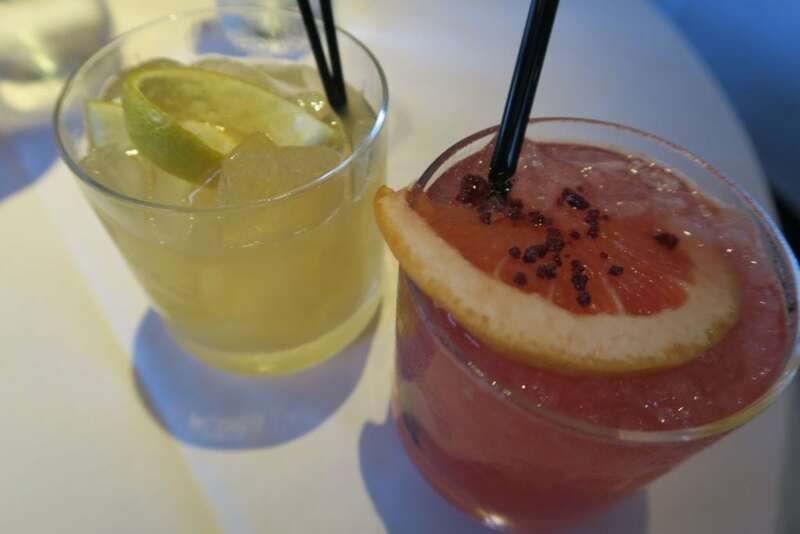 This week’s Friday Night Out post lands on a Thursday–for a very delicious reason. 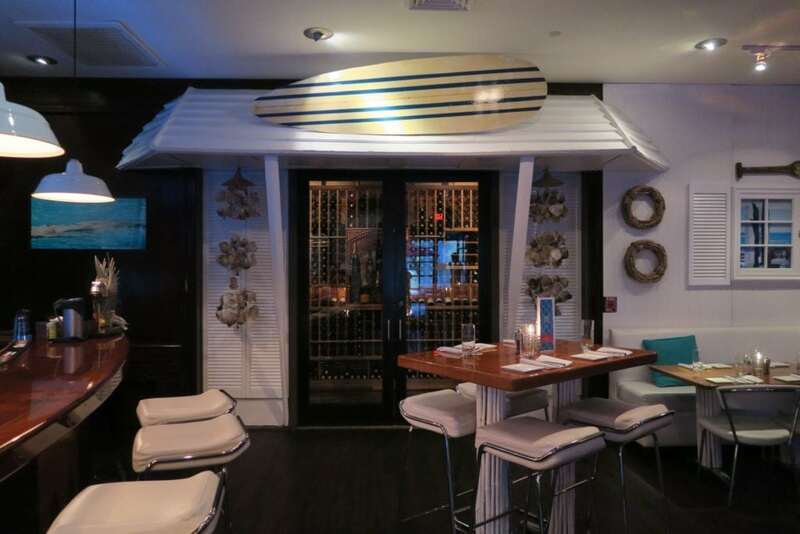 Throughout this summer, PB Catch Seafood & Raw Bar is hosting Paella Night in “The Shack,” their newly reimagined laid-back lounge space, meant to evoke the feel of a weathered beach bungalow. It’s the kind of place where you can expect to hear the Beach Boys soundtrack on repeat. If you’ve been following along with my adventures for some time now, you know why paella night at PB Catch appeals to me–I spent a couple months living in Barcelona and even learned to make paella with my mom. Spanish food has a special place in my heart because I didn’t arrive in Spain loving it; but through cooking classes and daily visits to La Boqueria, I came to cherish the bold flavors and colorful ingredients. So paella night in Palm Beach? Count me in. 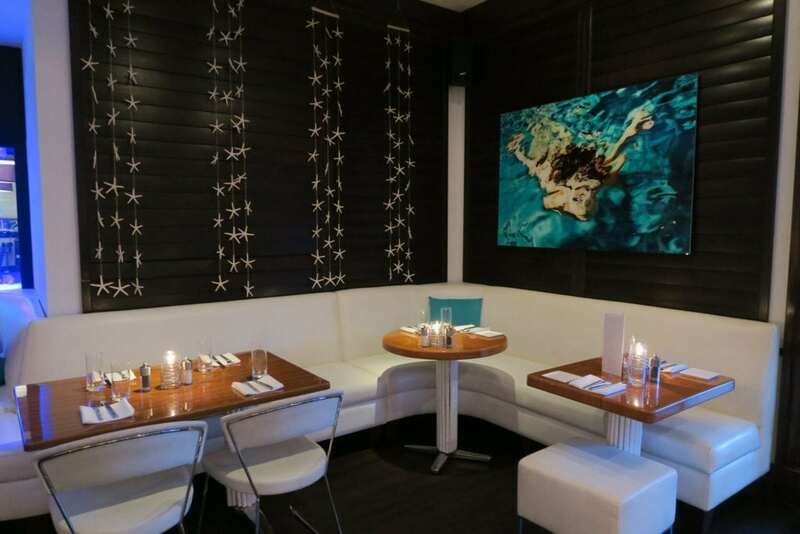 Request a seat by the lionfish tank! With a chef like Aaron Black at the helm, PB Catch’s paella strays far from the ordinary. Chef Aaron Black is known for his legendary Black List, an availability-dependent offering of super-rare seafoods and exotic dishes that spring up for a few days and then disappear, possibly never to be seen again–with past cameos by Scottish Blue Lobsters and Okeechobee Frog Legs. 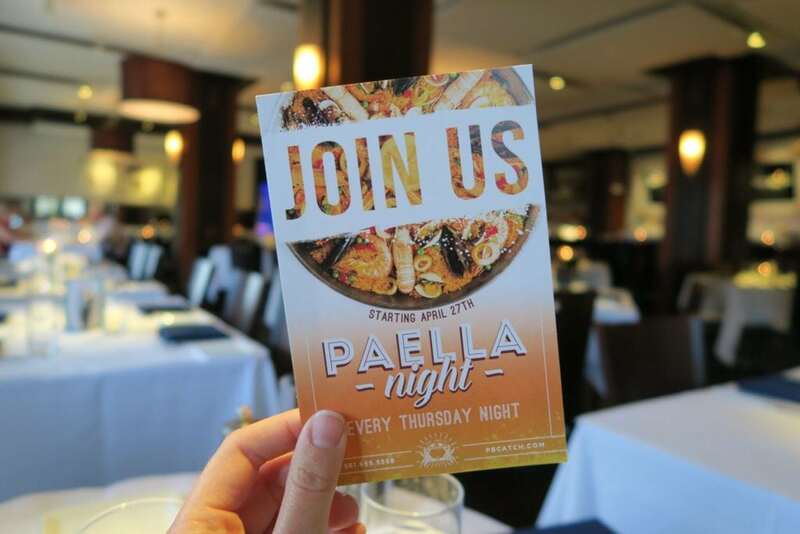 He’ll rotate the paella variety each week this summer, presenting unexpected combinations like Low Country Paella, which consists of tiger shrimp, Carolina rice, buttermilk fried chicken, sassafras, clams, mussels, crispy soft shell crab, and sweet corn. 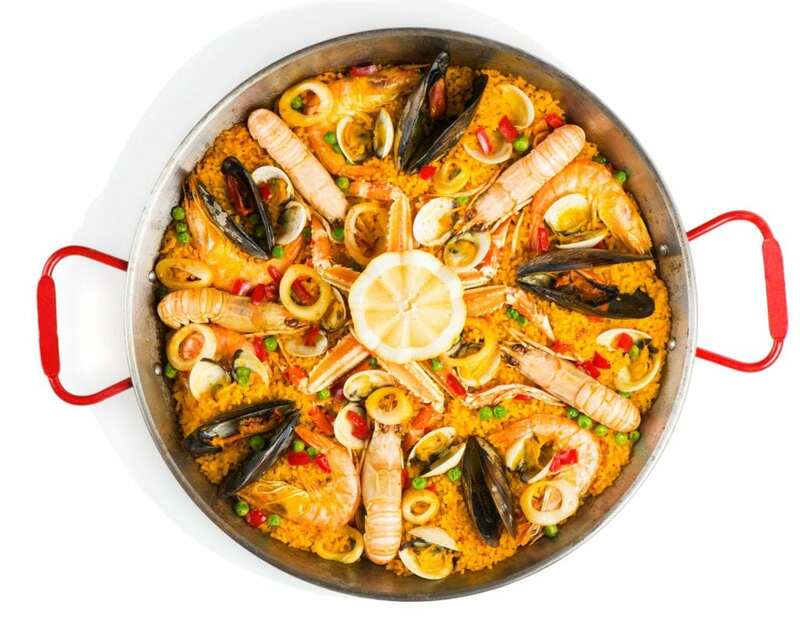 Paella–always made in large batches–is a great dish to share. 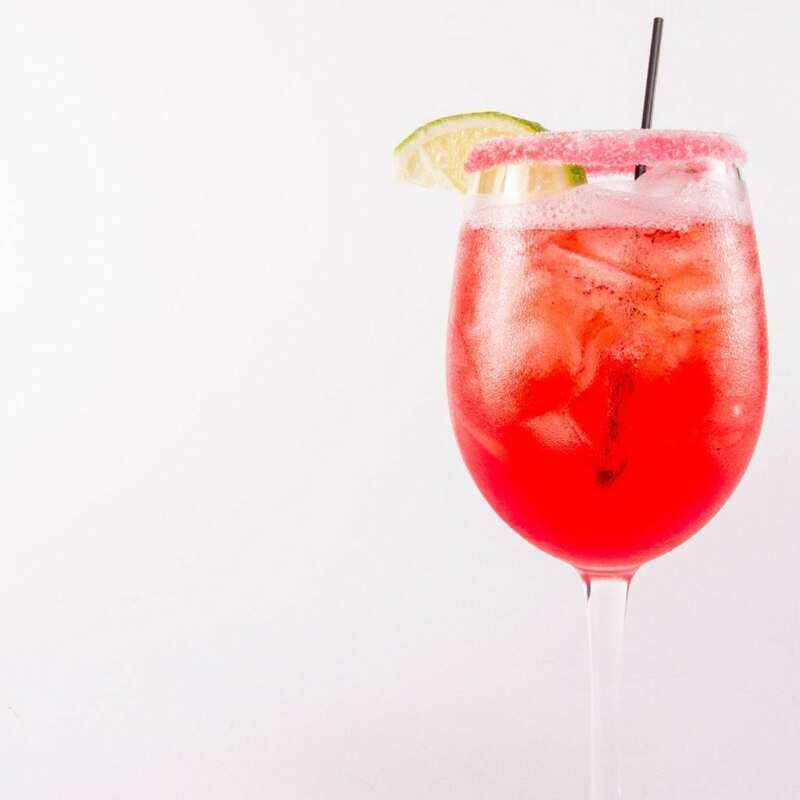 Of course, you can’t have paella without a tall glass of sangria, and PB Catch’s version of this classical fruity drink blends Rioja red wine, brandy, fresh orange juice, citrus wheels, apples, and of course–Cava. Cava is Spain’s lighter, more citrusy answer to France’s Champagne. Another offering that makes PB Catch one of my favorite restaurants in the area is their Catch & Cook program. If you’re a fisherman or just somehow happened to land yourself a catch (other than your date! 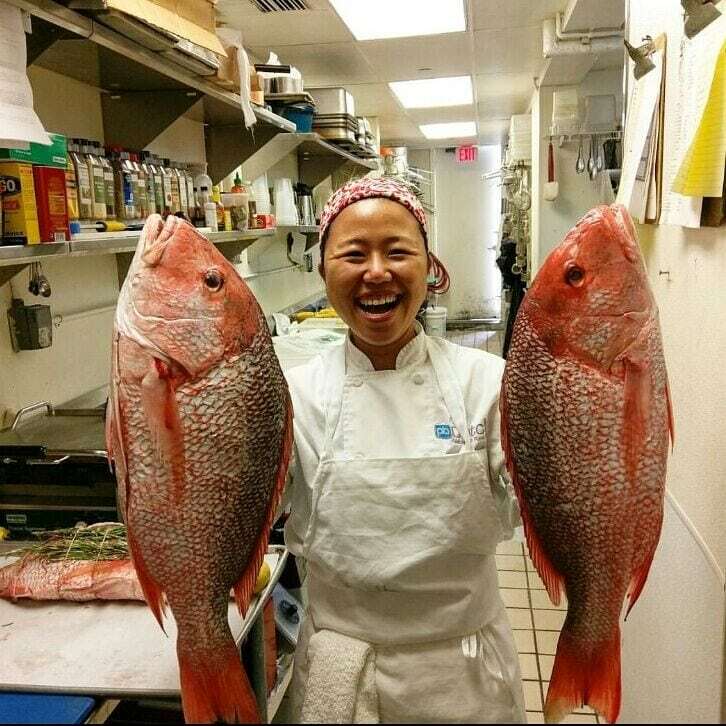 ), you can bring in your freshly caught seafood and have Chef Black prepare it to your liking. Just $18 will get you grilled fish and two sides. A fun day of fishing is best concluded with someone else cooking your catch. And lastly, there’s Seacuterie–think charcuterie, but with seafood. It’s almost like sushi feast meets raw bar, served on a slate. Even amidst the summer’s tempting specials, the same PB Catch favorites still claim their place on the menu. Seafood offerings change daily depending on what local fishermen reel in, and cocktail classics like the Hibiskus can be sipped year-round. 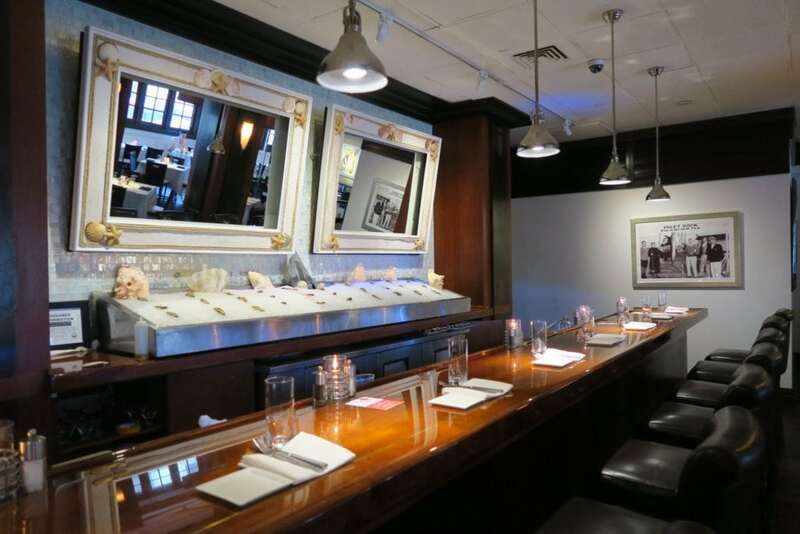 If oysters are your thing, PB Catch has the most distinctive raw bar around. Ten or more oyster varieties populate the raw bar menu on any given day, complemented by other ice-cold staples like middle neck clams, stone crab claws (in season), and jumbo shrimp cocktails. Chill out by the freestanding raw bar to enjoy dinner and a show–the staff shucks oysters faster than you can eat them. 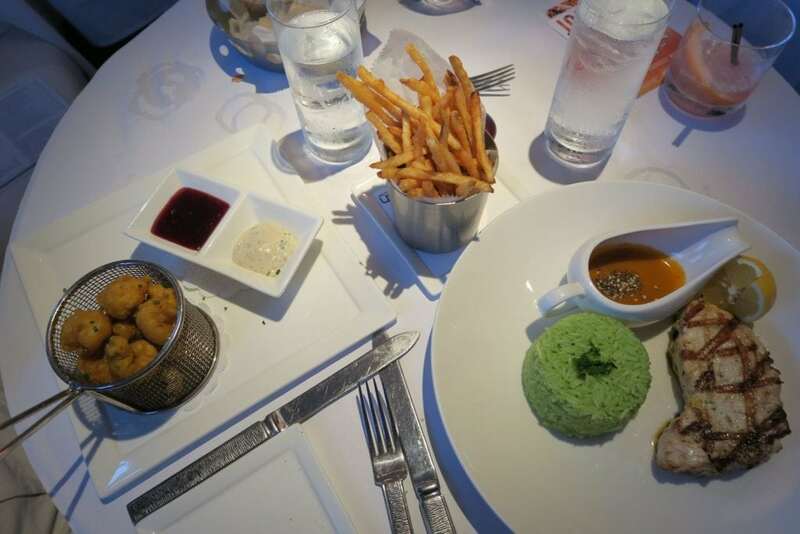 If you’re on the hunt for summer fun or just deliciously prepared local seafood, PB Catch is your place. 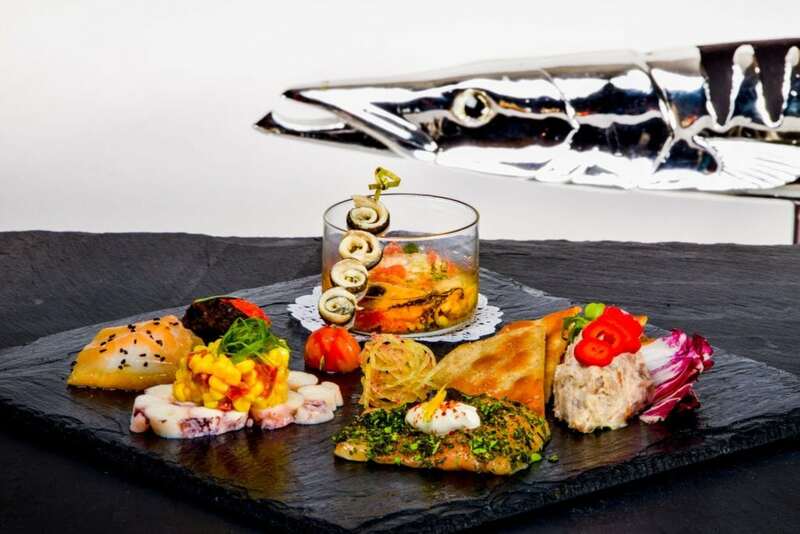 This is South Florida sea cuisine at its finest, wrapped up and presented in an aesthetically pleasing nautical-but-nice venue. It’s beachy but not tacky, classy yet approachable. PB Catch is adored among locals, and it just takes one bite of the fresh catch to figure out why. 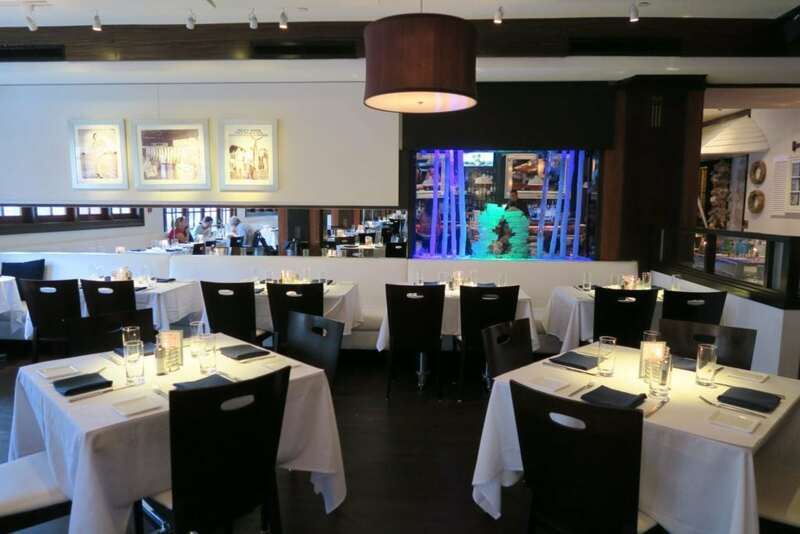 Call (561) 655-5558 or click here to make a reservation.